Never has the word "combustible" been more appropriate for an entire subset of electronic music, perpetuated by the (now mythological) Skrillex. Using his nifty bass-warping trick in nearly every way possible, his "Scary Monsters and Nice Sprites" has acted as a template for his most successful material. Kids want more of the same. I'll admit that "Monsters" is as "nasty" as the subreddits would have you believe, but once you've heard the song (and the blistering remix with Adele's pipes attached), you've heard them all. The dirty bass motif kind of loses its appeal as an independently interesting movement. 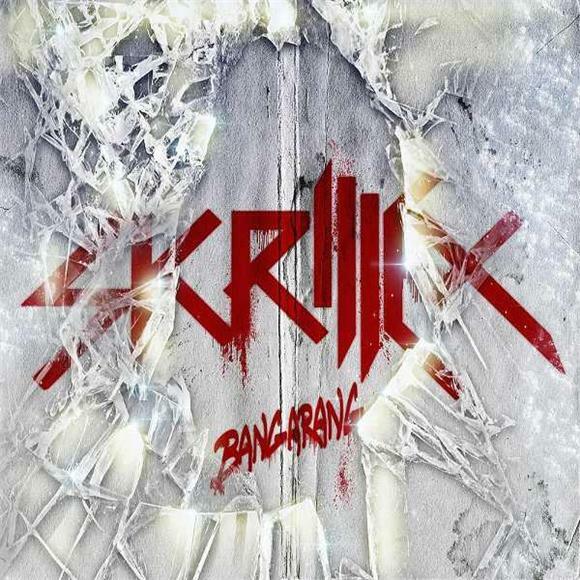 So the Bangarang EP starts with just that, the formulaic and ultimately useless "Right In" and continues to riff on Skrillex's impeccable ability to imitate his own perfect balance of bass blasts, video game licks, and manipulated vocals. If you like it, here's more of the same dish, and it's served hot. But coupled with the army of imitators mimicking Skrillex's style, even the real thing feels dilapidated to the rest of us. Add a few mixed drinks, a bunch of shots, and maybe some mood-altering drugs, and this is the perfect background for a low-light slo-mo party montage. But to most of us, the idea of "new American dubstep" here feels a bit static. Even the Ellie Goulding track is kind of just a novelty. One thing is for sure, the Skrillex Orchestral Suite almost makes the whole thing worth it. Kind of an in-joke for fans of Skrillex and video game soundtracks (what a combination). If you are vaguely familiar with popular Skrillex motifs, and have played Legend Of Zelda at least once, this will inspire some smiles.